Coconut Oil should be part of a diet to increase energy and balance your thyroid. There are a number of alternative doctors who believe chronic fatigue syndrome (CFS) and fibromyalgia are really a thyroid disorder. I tend to think there is something to this since I have hypothyroidism and there was a time when my thyroid replacement was too low and I developed many of the classic symptoms of fibromyalgia. When this happened I refused to accept this lame excuse for an explanation, and did some research. I came upon some articles by Dr. Lowe in Colorado, which made me decide to start raising my thyroid medication. Amazingly, within a month my symptoms really improved and I no longer think CFS and fibromyalgia are real diseases but the manifestations of thyroid disease or some type of metabolic problem tied to thyroid function. I don’t have these symptoms anymore. Fibromyalgia and CFS were not heard of much until the development of the TSH test and the overall use of Synthroid or other T4 only treatment. Prior to that people with these symptoms were treated with Armour thyroid and the dose was adjusted up until symptoms were relieved. Since the TSH test was implemented for detecting thyroid disease and for adjusting the dose, thyroid replacement doses have dropped to 1/3 of what they were for about 73 years prior to that. I suspect that this is why thyroid treatment has not been very effective for CFS and fibromyalgia patients. The doses are too low to affect any improvement and may result in suppression of the pituitary leading to the person becoming even more hypothyroid as their own thyroids are not stimulated by the pituitary to keep up their own production to complement the additional replacement. Typical thyroid doses prior to the 1970s were between 3 and 9 grains of Armour a day. Today, they range between 1 and 2 grains. Performing the Barnes basal body temperature test or keeping a record of your daily temperatures (taken 3 times a day every 3 hours starting in the morning) will tell you whether your metabolic rate is too low. There are other causes of low metabolic rate, but by far thyroid is the most common. Also, if you have high cholesterol, that is another very strong indication of low thyroid function. We are awash today in thyroid inhibitors – one of which is trans-fatty acids. Leaky gut can definitely play a role in fatigue and many disorders. Research on celiacs (people with wheat allergy) has shown that they have a high rate of development of thyroid disease. People with leaky gut are at greatly increased risk of developing auto-immune disorders such as thyroid disease, Lupus, and arthritis. People who are hypothyroid get leaky gut because they cannot rebuild the intestinal tract lining at a fast enough rate to keep it’s integrity. Hypothyroid people and those with adrenal hypofunction can develop many allergies. It is the adrenals that play a major role in immune response and regulation of immune function, keeping it in a narrow range where it kills the bad things but doesn’t attack the host. In hypothyroidism, adrenal function is greatly reduced or they may overproduce trying to replace the lacking thyroid function and increase available T3. So, multiple allergy development is a classic symptom of hypothyroidism. This is what happened to me before my diagnosis. Since beginning treatment a year and 9 months ago, I have lost all but two allergies, wheat being the main one that I will probably never loose. There is also some other research and anecdotal evidence that CFS and fibromyalgia seems to happen to people who have had major trauma such as childhood abuse. It is thought that this type of thing affects the pituitary/hypothalamus area of the brain interfering with proper function. Studies have found that these people have disturbed brain electrical function. Others have called it the “delayed stress effect” and say that trauma builds up in the brain as electrical disturbances and imbalances. Practicing meditation, prayer or some relaxation technique regularly is said to greatly help. Research is being done with EEG training to help these people. EEG trains the brain to balance itself electrically and to relax the body. Research with children raised in abusive situations has found that that they have up to double the output of adrenal stress hormones and tend to be in a heightened alert state all the time. When followed to adulthood, researches have found that in adulthood they often develop low energy problems or other metabolic disorders. These type of people also do not respond well to thyroid hormone (thyroid hormone resistance). They have suppressed metabolisms, basically. Violent prison inmates from abusive childhood situations were found to have greatly reduced cortisol output. It can be speculated that some abused children later suffer adrenal burnout. Without sufficient adrenal hormones thyroid hormone can’t work properly. Dr. David Derry found that traumatized people who develop hypothyroidism often need very high doses of thyroid medication to function normally. Proper adrenal function is essential for proper thyroid function and blood sugar metabolism. Also, high levels of cortisol, an adrenal stress hormone, can damage pituitary function resulting in altered metabolic function. 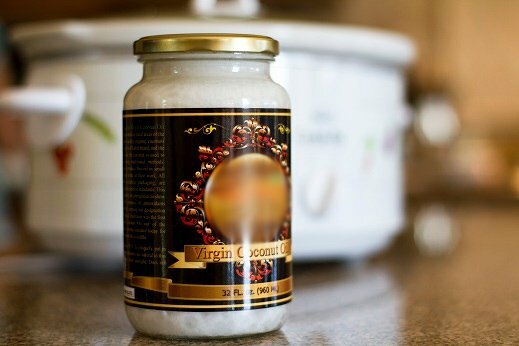 Researchers now know that the increased energy associated with eating coconut oil is related to the length of the fatty acid chains contained in coconut oil. Coconut oil contains what are called medium chain fatty acids, or medium chain triglycerides (MCTs for short). These medium chain fatty acids are different from the common longer chain fatty acids found in other plant-based oils. Most vegetable oils are composed of longer chain fatty acids, or triglycerides (LCTs). LCTs are typically stored in the body as fat, while MCTs are burned for energy. MCTs burn up quickly in the body. Coconut oil is nature’s richest source of MCTs that increase metabolic rates and lead to weight loss. MCTs promote what is called thermogenesis. Thermogenesis increases the body’s metabolism, producing energy. People in the animal feed business have known this truth for quite some time. If you feed animals vegetable oils, they put on weight and produce more fatty meat. If you feed them coconut oil, they will be very lean. Watch this informative video with Alex from Vitatalks as he explains how MCTs and thermogenesis work.